Both the floor and suspension versions are made from a laser-cut sheet of aluminium which is bent using a pressure bending machine and hand finished. The aluminium is anodised and subsequently liquid coated with transparent varnish or coloured paint. The collection is available aluminium, orange or bronze﻿. 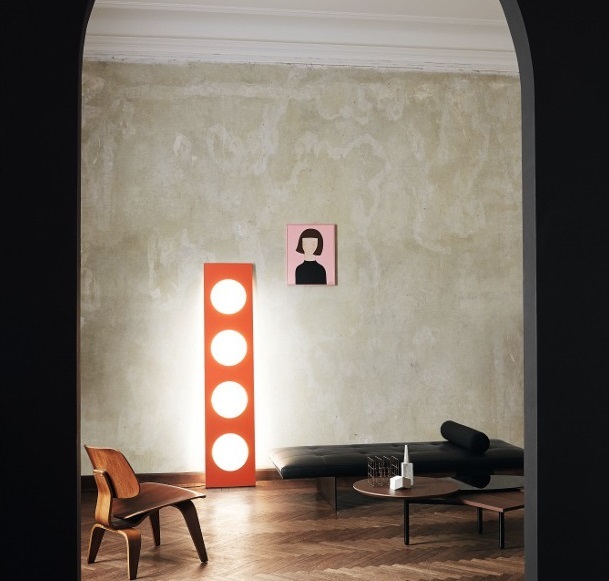 The Tuareg was designed for Foscarini by Ferruccio Laviani. Tuareg is composed of three dimensional aluminium tubes into which LED light sources have been incorporated. 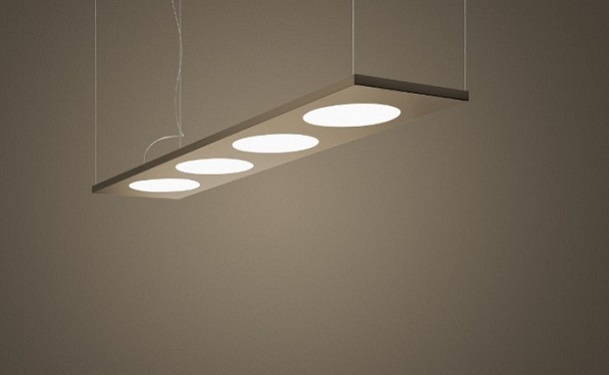 The LEDs can be switched on and off separately and adjusted 350 degrees in order to vary the light effect and the lamp's possible uses. Integrated touch switches and the system used to hide the power cables within tubular elements ensure that the design is as minimalistic as possible. The bold sculptural design of the Tuareg makes it an ideal centrepiece for both large commercial and domestic spaces. The structure is made of extruded aluminium coated with liquid paint and is available in a choice of two finishes. The bright orange finish is inspired by the bright colours of industrial anti-rust paints and the black chrome finish is intended to evoke the lustre of precious metals. The Kartell Bourgie is celebrating its 10th anniversary! The Bourgie was designed for Kartell by Ferruccio Laviani and has become one of their best selling products. The baroque inspired design is classical, and traditional, but at the same time innovative, and iconic.